If possible pull one user into the configuration process from each department. Give them some ownership in the configuration so they can say their department had a voice and a hand in creating the solution. If appropriate, give that department champion some minor admin abilities so they can do the ongoing care and feeding for that group (make dashboards, create fields, update the page layouts, make email templates, etc). You’ll have planted a seed of Salesforce evangelism that can carry the torch and help drive adoption after end user training is complete. That champion can also be the spokesperson for that group to vet out enhancement requests. It is probably not surprising but Salespeople hate structure (ok, I’m over generalizing here – but there are some truisms). They despise weekly and monthly reports or any other administrative activities that take away from selling time. They also like to hold the reigns to the customer. That’s their job security blanket. Salespeople, no matter how many benefits Salesforce.com brings to the table will be met with resistance. Why? It’s a change (who likes change!) and “moving in” requires providing that valuable customer information that resides in their cell phone, computer or day planner and putting it into the company’s CRM. Even with the great usability of a web-based application, Salespeople need to commit time to training so everyone is using the tool consistently. More than any group, salespeople need to be managed closely after go-live to be sure they are using the tool and not gravitating back to using their old ways. 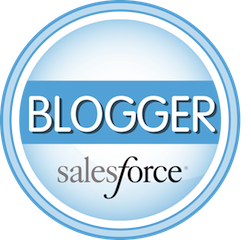 Some additional comments about salespeople and Salesforce.com. Just as important the Sales Manager needs to manage his or her team using Salesforce.com. If not, they are letting people on their team off the hook (i.e. well if my boss isn’t logging in, why should I?). Back in my consulting days a best practice was to run sales meetings using Dashboards. The motto was, if the deal wasn’t in Salesforce.com it didn’t exist! That came into practice when an individual salesperson’s dashboard was brought up on a WebEx to allow the salesperson to discuss their pipeline. If the salesperson referred to a deal that wasn’t represented on their dashboard, they were not allowed to talk about the opportunity. It got the message across quickly – you’re not getting credit for deals outside of the tool! Lastly – look at using Chatter and Saleforce.com Mobile for your sales team. It could be the “killer apps” that make Salesforce.com a tool they can no longer live without! Create a Training folder on the Documents tab. House all your training materials in one place – end user training slides, your workflow playbook, etc. This will become a lifesaver for new hire training.